The other day, I recommended pot to a customer. Don’t get the wrong idea. She was an older woman of about 75+ years with glaucoma and asked me for tips on what to eat/drink to help alleviate stress and calm her nerves. Marijuana sort of came out like word vomit, I couldn’t help it. Seriously though, it’s EXACTLY what would solve her problems, or at least help significantly. Her response? She laughed and commented that it wasn’t the first time someone said that to her, but she said she couldn’t bring herself to do it. I inquired as to why, and she didn’t really have a legitimate response. My guess is she “doesn’t do drugs”. Ugh. Why must people still consider this a drug? It makes me sad. 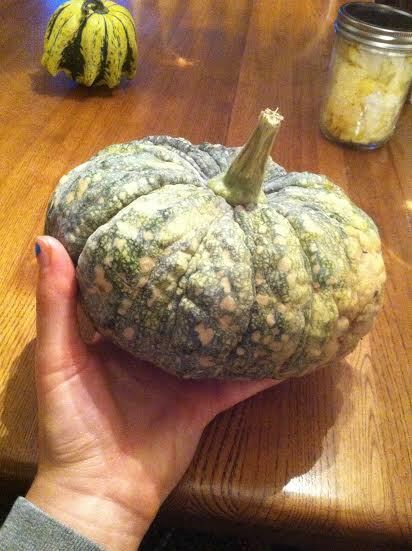 This is a plant. Mother nature gave it to us; it’s not cultivated in a lab and there have NEVER been any deaths from this herb. Maybe someday people will grow some brains, but until then… I guess you can pay pharmaceutical companies your hard earned money to pop pills that contain sketchy chemicals and most likely are doing more harm than good. Take that as you will. Encouragingly enough, these are all actually foods that the general public seems to enjoy – so start incorporating some of the above ingredients into your diet! Honestly, you can combine the majority of those into a powerful anxiety reducing smoothie (milk, avocado, blueberries, almonds, orange, spinach and oats). 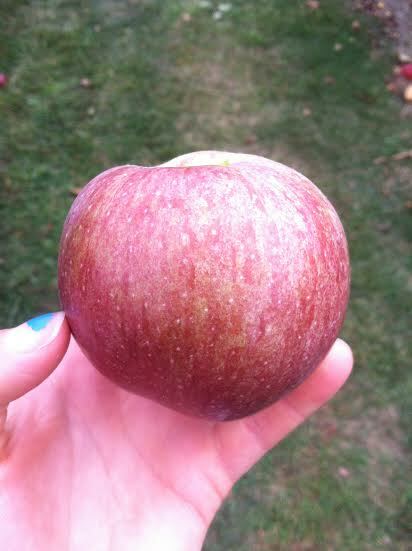 In other news, fall is officially here! Which means that pumpkin beer is now in season. I can’t say I’m the biggest pumpkin fan, but I do enjoy a nice bottled pumpkin brew. I have made it a goal to try as many different pumpkin flavored beers as I can while their around, so that means you guys get to hear about it. 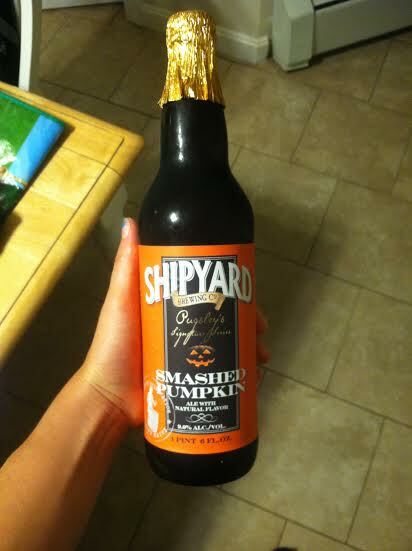 The first one was Shipyard’s Smashed Pumpkin. At one pint and 9% ABV, this puppy packs a punch, and is quite damn delicious. Definitely would recommend giving this a try. 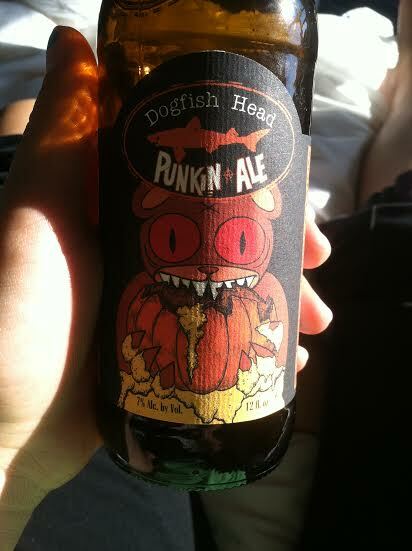 The next contender was Dogfish Head’s Punkin Ale. First of all, the label is awesome. Very Dogfish Head – I love the branding that they do. Pumpkin beer must be high in alcohol percentage or something because this one is 7% ABV, which again falls in step with Dogfish Head. This was another tasty brewski, and I would pick it up if you see it on the shelves! It’s a bit after noon and I must say, I’ve had a pretty nice day (and previous night) thus far. 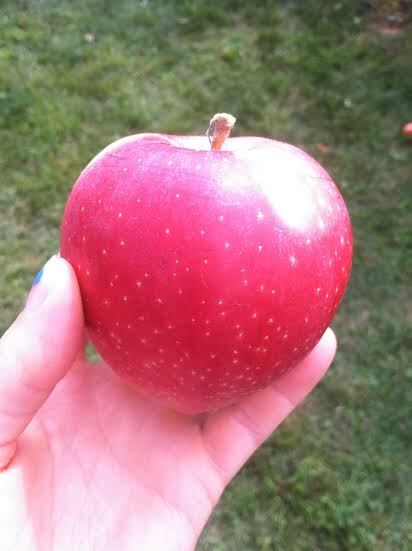 I stayed at Max’s house in Narragansett last night, where we made a stellar apple crisp with some apples that Max and I picked at Sweet Berry Farm in Middletown over the weekend. Yeah, we’re pretty cool. If any of you feel like crossing the Newport Bridge to check out this farm, I highly recommend it. They are definitely doing it right over there. This morning, I met with an old professor of Max’s who teaches business; I figured now is the time to start making some connections, and the meeting went great! We clicked; I will be making that a semi-regular occurrence for sure (look at me, acting all grownup and whatnot). … that’s some pretty good stuff, huh? They are all delicious, might I add. 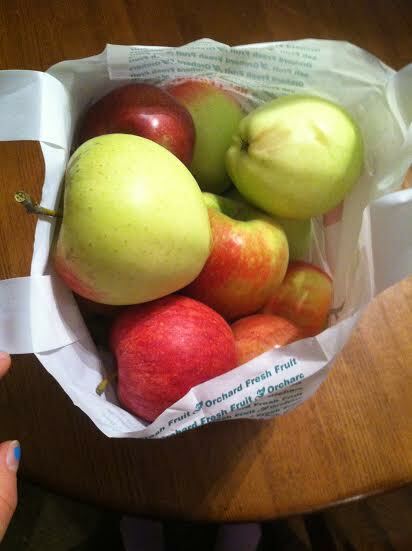 Between Max and I, we left with over 20 pounds of apples, oh yes. Sunday night, we put one Mac into our chicken pesto and tortellini soup, which added a sweet twist to the loaded soup. 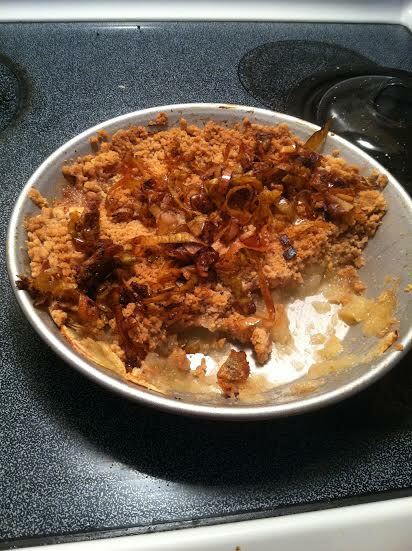 Then, last night, we used my fancy pants apple peeler/corer/slicer that I bought a few months back and turned 6 apples – Macs, Ginger Golds and Macouns – into a delicious apple crisp! Seriously though guys, easiest thing every to bake. So much so that next time around, I plan on getting more advanced (and healthy). To fancy it up this time, we caramelized the apple skins left from the peeler and combined it in a pan with Jarlsberg cheese and added that as a topping. 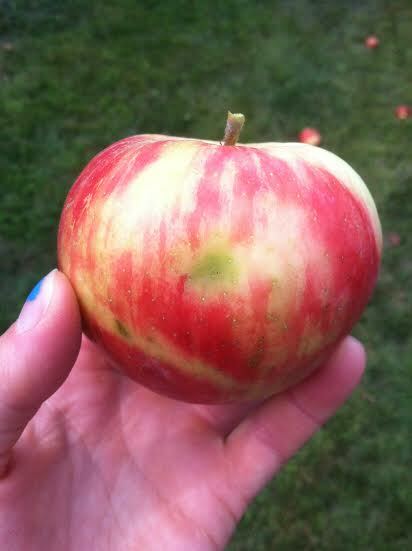 Simply line 9″ pan with apples, then evenly coat with 1/2 tsp cinnamon and juice from 1/2 lemon. Then in a separate bowl, mix together 1/2 cup granulated sugar, 1/2 cup light brown sugar, 1 cup flour and 1 tsp cinnamon. Once mixed, add 3/4 stick of unsalted butter that is chopped in even, small pieces to the bowl. 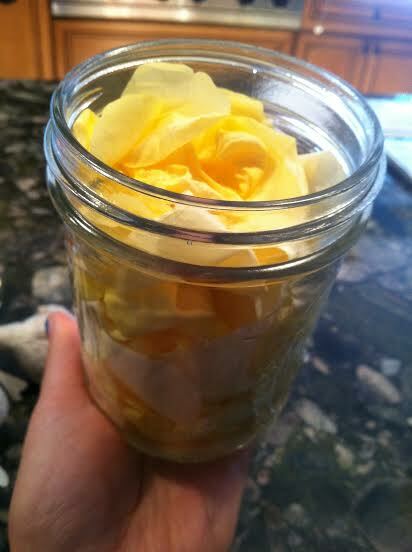 Mix around until butter has been folded in and break down any large chunks with your fingers. Bake for about 35 minutes in an oven at 375 and BOOM! 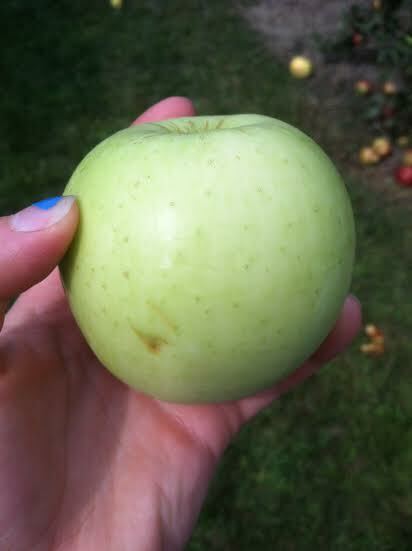 Apple Crisp. All of Max’s roommates approved it, and I may or may not have had two helpings for myself. Next time, be prepared for even more sophisticated magic. 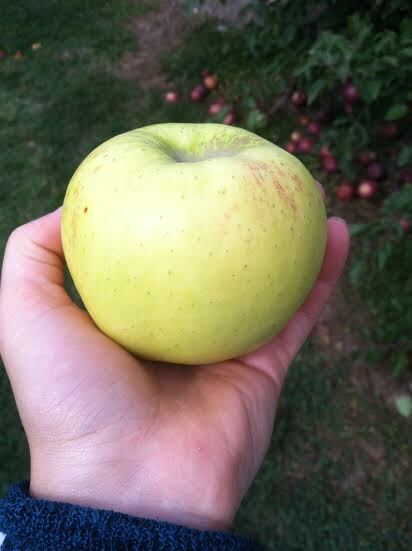 Well, I do have to get ready for work now, so I must leave you drooling over my apple-y goodness. 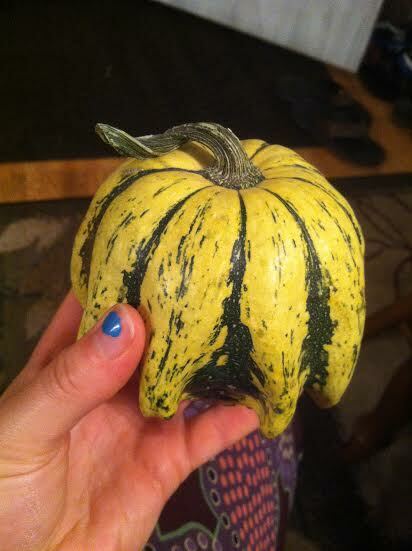 I also snagged two pumpkins during the escapade; if anyone has any ideas what do with them, I’m all ears! Stay awesome, folks. Doesn’t this remind you of the pacman ghosts? Today, as I was trolling the interweb for no particular reason, I stumbled upon this article. I must say, I’m pretty horrified about the whole thing; so much so that I felt it necessary to share with all of you. Of course, you could click the article and read it for yourself, but I’ll give you a quick lowdown in case you aren’t in the mood. Basically, the microbeads that some toothpaste brands (such as Crest’s Pro-Heath and 3D White) include in their products are absolutely horrible for you, and I strongly recommend that you never purchase this type of toothpaste ever again. I’m doing you a favor here. First of all, the microbeads are just that… micro beads. Teeny tiny synthetic plastic balls. That we willingly put in our mouths – and scrub on our faces! Some face washes have these beads, too. The tiny balls are made from a material called polyethylene, which is the most common plastic in our world; think water bottles and grocery bags. Seriously though, I don’t want to ingest these things, nor do I want them lodged in my pores or between teeth and under gums. They are non-biodegradable, for Pete’s sake! Illinois has already stepped up to the plate; they have banned products using the beads for polluting the water system and ending up in the bellies of fish and other wildlife. They are also getting lodged in dental patients’ gums, where they collect bacteria, which can cause infection. NICE. When brushing your teeth with this toothpaste, the gum channel (“sulcus”) is getting scrubbed with pieces of plastic, some of which become trapped. This is one way gingivitis begins. If left untreated, it can lead to infection that can move from the gum into the bone that holds your teeth… that turns into periodontal disease… which is bad news. Wising up, Crest has agreed to eliminate the plastic beads from products as of March 2016. Until then (and forthright), avoid microbeads!! Tell your friends, too. By not purchasing these products, we are saving the mouths of fellow Americans, helping out the water system and letting fish live another day. To do so, check packaging and look for polyethylene as an ingredient. Avoid product that contains polyethylene. Well, that’s my informational burst for the day. 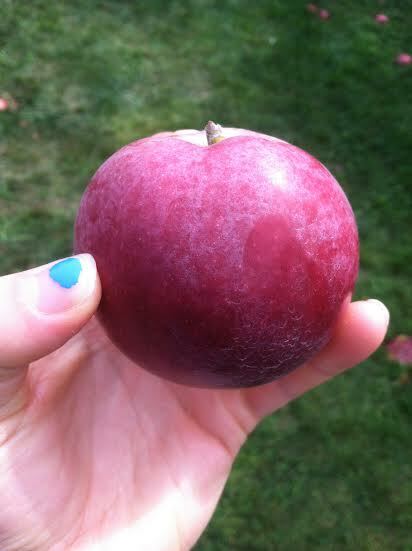 In other news, I went apple picking today! It was glorious – more on that later. I also went climbing today with Max and Sarah and had a really good climbing day for the second day in a row!! I think maybe I’m actually progressing a little bit. 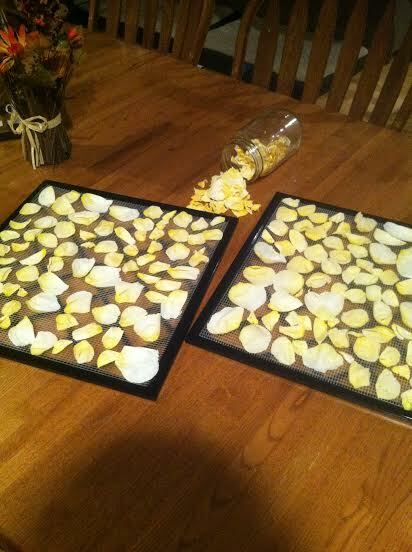 Finally, I have made another great dehydrator success! 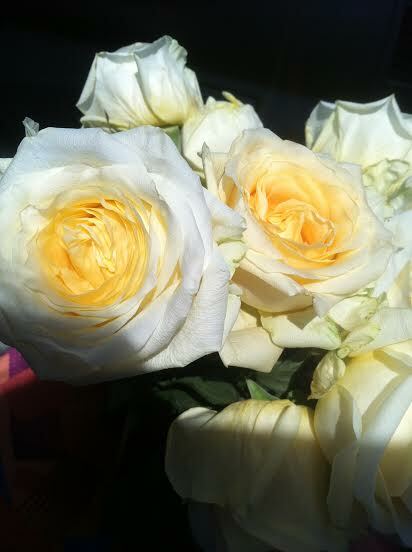 Max bought my beautiful roses last week, and once they lost their spark, I dehydrated them. 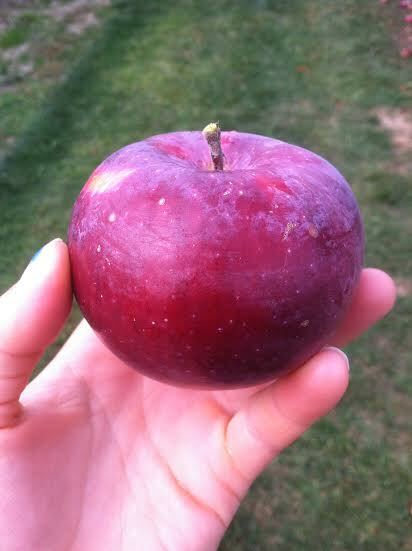 They came out great, and SO fragrant; fruity almost. I definitely have potpourri and rose tea in my future. What else can be done with dried rose petals? Anyone? Good night, turtle doves. Kisses and Hugs. Interesting stuff here, my darling dears. I can’t figure out how to delete that broken link below; my apologies! As a forewarning, today’s post will be a bit of a downer. I’m sorry. I’ve just been cruising through my e-mails and came across some tidbits of information that I thought would be beneficial to share with all of you. It’s a little depressing, but life isn’t always rainbows and butterflies – boo. I’m on the list service for UNICEF, an organization that does a lot of good for those less fortunate and in need around the world. Someday, I wouldn’t mind being employed by them – but I need a stable financial backbone first. In the most recent e-mail I received from them, they focused on Ebola – a disease of humans and other primates caused by an ebolavirus that is usually acquired upon contact with blood or bodily fluids of an infected animal. Symptoms of Ebola start anywhere from two days to three weeks after contracting the virus, and include fever, sore throat, muscle pain and headaches. Vomiting, diarrhea and rash follow soon after, and then comes the decreased functioning (and potentially the failure) of the liver and kidneys; some affected people may begin to bleed both internally and externally, too, including the eyes, ears, nose and mouth. Sounds fun, huh? Ebola is also known to kill more than 50% of the time, with children being particularly vulnerable. According to The World Health Organization, the Ebola epidemic is growing, threatening as many as 20,000 people over the coming weeks. Now, the disease has spread to another country – Senegal. Altogether, Ebola has claimed more then 1.900 lives in Guinea, Sierra Leone, Liberia and Nigeria. This high death toll makes it the deadliest outbreak in history, with close to 300 new cases reported in one week, and that was solely in Liberia. To help the region try and control this epidemic, UNICEF has been taking various steps. These include airlifting health supplies to Liberia (the country that has been hit the hardest), distributing sanitary supplies to Guinea, spreading vital prevention messages throughout Sierra Leone, deploying response teams for Nigeria and using various forms of media to help disseminate vital lifesaving information throughout the region across West Africa. The scary thing is that most of the people affected in these areas of West Africa had never even heard of Ebola before the outbreak. Unfortunately, there is no easy cure for Ebola, so sharing information like this is a critical way to spread awareness and hopefully combat this evil disease. A handful of experimental vaccines have undergone trials to determine if they are effective treatments for infected humans, but finding a proven cure is a ways away. Containing the epidemic and raising awareness, as well as distributing proper medical supplies is the best we can do at the moment. SO … do your part and spread the awareness! Or better yet, go and visit UNICEF’s website and donate time or money; you never know how far your dollar will go, and every little bit counts. 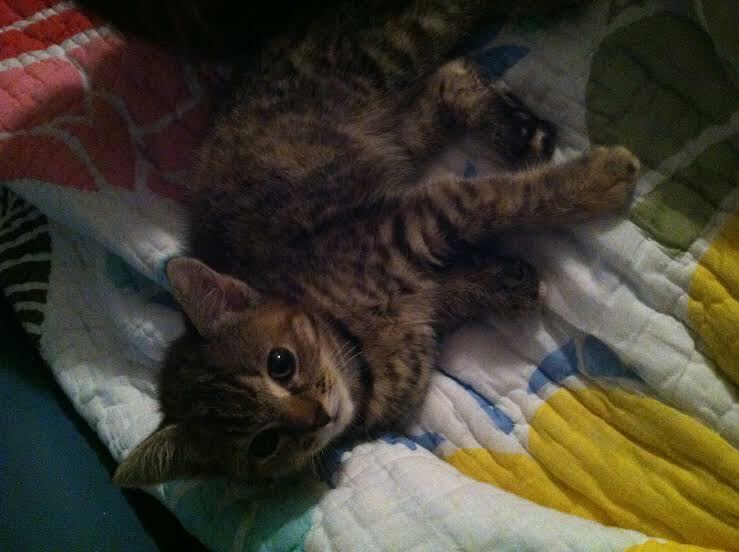 I hope that I didn’t ruin your night with this, but just in case… here’s a picture of these two adorable little kitties that Brenna brought home from the animal hospital today. 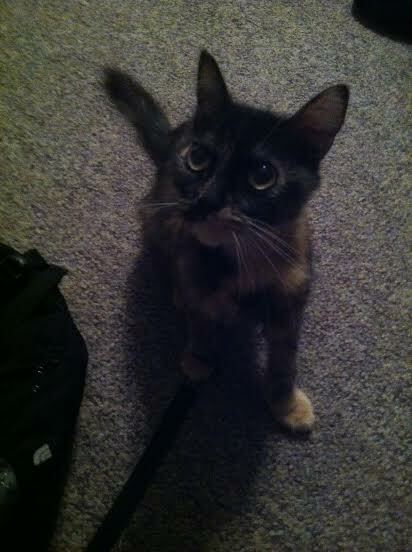 If anyone in the Northeast is looking to adopt a cat… please reach out to me! 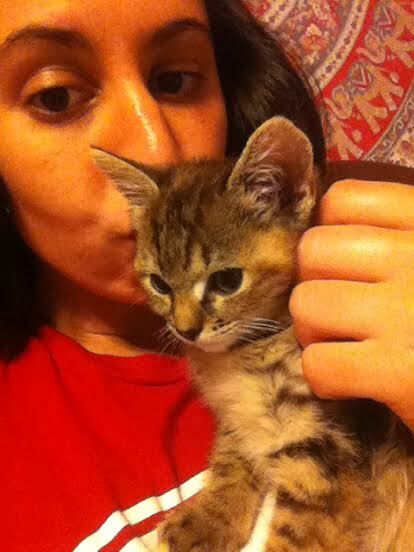 One is a baby; she’s only 3 months old and is absolutely gorgeous, and the other is an equally beautiful momma cat. 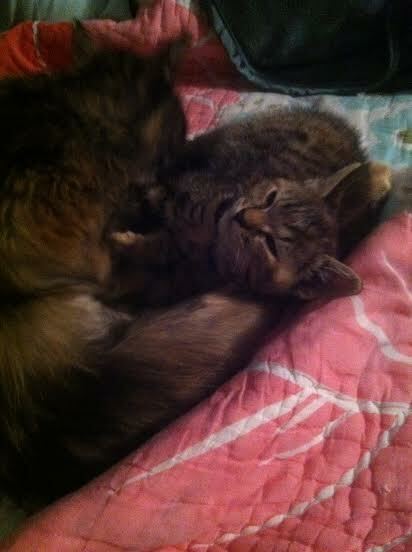 At least, I think she had kittens at one point the way she acts around the baby. Both have fabulous personalities and are in need of some love!